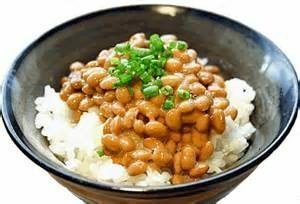 Nattokinase is a proteolytic (protein digesting) enzyme extracted from the popular Japanese food natto. Natto (the food) is made from fermented soybeans and has been eaten in Japan for over 1000 years. Nattokinase is believed to be very useful in reducing heart disease by thinning the blood and dissolving excess fibrin & clots. 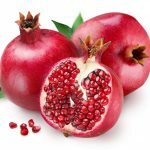 Alternative health practitioners have called this enzyme a “clot-buster” for its ability to dissolve blood clots. Nattokinase was first discovered in the 1980’s by Dr. Hiroyuki Sumi, a University of Chicago researcher. His studies found that the enzyme in natto had fibrinolytic (clot busting) abilities. He named this enzyme Nattokinase. In one study he placed nattokinase on blood clots at body temperature and the clots completely dissolved within 18 hours. We have a protein in our blood called fibrinogen and when we are injured our bodies convert the fibrinogen into fibrin – a thread like web that is part of the clotting process, which stops the bleeding, forms a scab and induces healing. Once the healing is completed our body uses plasmin, a protein we produce which breaks up and dissolves fibrin. As we age, our plasmin production decreases and the fibrinogen production increases, so excess fibrin can accumulate in our blood vessels. If fibrin is not eliminated, it can thicken and form clots which can then lead to more serious issues such as heart disease, heart attack and stroke. Nattokinase is very effective at dissolving fibrin. Natto is a very popular food in Japan. Many believe this natto consumption is one of the reasons that the Japanese people live longer and have fewer heart attacks.